Just because a church is small doesn’t mean it is stuck. But the truth is, many small churches are stuck. If small churches want to keep being vital elements in Jesus' Great Commission strategy, we need to be able to tell the difference between a strategic small church and one that’s just stuck. For a lot of people, small works. Some people worship, fellowship and minister better in a smaller setting. The old stereotype of the stuck-in-the-mud church member who wants their church small to keep things the way they’ve always been is dying out. No, they’re not gone yet, as many of you can attest to, but their days are numbered. Some people worship, fellowship and minister better in a smaller setting. The new ‘small church person’ is more likely to be young, engaged, tech-savvy and looking for causes and relationships they can engage in within a more intimate setting. We need a lot of churches to be intentional about meeting those needs and equipping disciples. 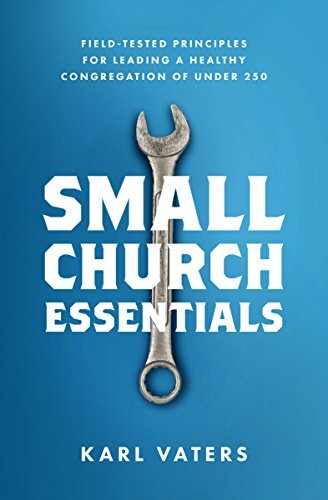 If your church is small because you’re equipping people who worship and minister best within a smaller setting, you’re not stuck, you’re strategic. This is the spot most small church pastors think they’re in. I know I did. For over two decades in three different churches I thought serious growth was just around the corner. It was a long corner. As it turned out, my church was small for much more than a while (it still is), so we started being intentional about it. But some small churches are only small for a while. The problem is, no one knows how long that will last. So here’s my suggestion. While you’re a small church, be a great small church. Don’t put all your energy into growth. Work on health. It’s better to become a healthy church that grows than an unhealthy one that grows, right? If your church is small right now, but is being healthy during the time you’re small, you’re not stuck, you’re strategic. A few months ago, I attended a conference of house church leaders. These churches are obviously small on purpose. But they have as much passion for making disciples and advancing the kingdom of God as any church leaders I’ve met.